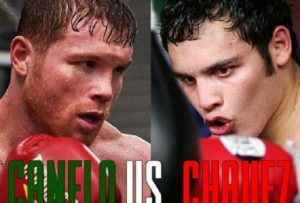 Saturday night, from El Paso, Texas, Julio Cesar Chavez Jr. (45-0-1, 31 KOs) looks to strengthen his claim on the title of best middleweight not named Sergio Martinez. Chavez faces Andy Lee (28-1, 20 KOs), who is on a thirteen-fight winning streak that includes avenging his lone loss as a pro (a knockout defeat to Brian Vera in 2008). The knock on Chavez has always been that he is more about his father’s famous name and riding the coattails thereof than a champion in his own right. 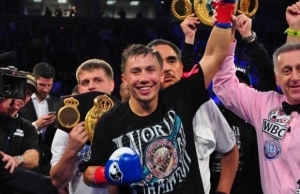 His WBC middleweight strap around his waist is essentially stolen property, fenced via Jose Sulaiman after the heist that removed it from Sergio Martinez. Even with that, however, you still have to clobber the guys in front of you, and Chavez has defended the belt twice since winning it from Sebastian Zbik last year, first against Peter Manfredo and then against Marco Antonio Rubio in his last fight. While those guys are not exactly Bernard Hopkins and Carlos Monzon in terms of level of opposition at 160 pounds, they are professional fighters who would have beaten Chavez if in fact the Mexican were the puffed up tomato can that his critics often paint him as. Andy Lee is another guy who’s more Zbik than he is Sugar Ray Robinson. 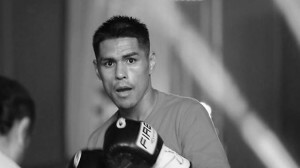 His lone loss, a seventh-round stoppage on cuts at the hands of Brian Vera on ESPN’s Friday Night Fights in 2008, could easily have gone his way had his blood decided to stay inside his body. Lee dropped Vera in the first round and led handily on all three judges’ scorecards; indeed, had the fight continued Brian Vera would have needed to knock Lee out to get the decision, and had Andy Lee not had the red mist descend over his eyes in decidedly non-berserker-like fashion, the result seemed pre-ordained. Which is to say that with a little luck, Andy Lee would be undefeated. As if that weren’t enough, Andy Lee is a southpaw; the most recent southpaw Chavez faced, which was 12 fights ago, was Ray Sanchez, who jumped ahead on the scorecards before the Mexican disposed of him in the sixth round. 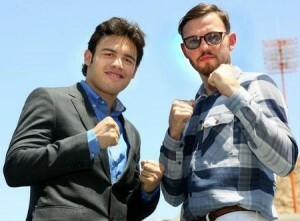 A steady diet of orthodox fighters may very well have left Julio Cesar Chavez Jr. vulnerable and ill-prepared for his next battle with a left-hander who has a lot more pop than does Ray Sanchez. Andy Lee has genuine knockout power and a ton of heart (his stoppage of Craig McEwen displayed both in spades). Julio Cesar Chavez has enough boxing ability to frustrate an opponent to go with fierce fists of his own. 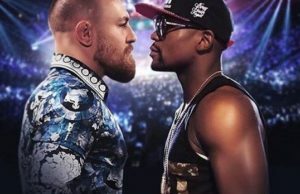 This fight would, on paper, seem thoroughly unlikely to go the distance, so keep the beer on ice and don’t get up to raid the refrigerator unless you want to see a coup de grace on replay. The Chavez-Lee card airs on HBO as part of its World Championship Boxing series Saturday night, June 16th, at 10 PM Eastern and Pacific (West Coast viewers will receive the fight on a three-hour tape delay; depending on your cable or satellite provider, seek the HBO-E feed to watch live at 7 local time). The Boxing Tribune will have a full recap of the night’s action following the conclusion of the fights. Fox Doucette covers Friday Night Fights for The Boxing Tribune. His weekly column, The Southpaw, appears on Thursdays. 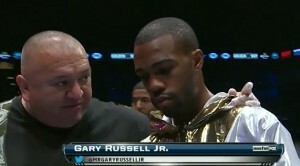 He’s really not enjoying watching Vanes Martirosyan turn into an Armenian Demetrius Andrade. Fan mail, hate mail, and Armenian girls who look like Khloe Kardashian (preferably with a brain; else send duct tape) can be sent to beatcap@gmail.com.